I originally wrote this as an audition for the handbook of Texas online–they were enthusiastic at first, but didn’t get back to me–so its still my property so here it is…please remember all of my writings here are under copyright so please ask my permission before sourcing them and cite me properly. Thanks! New Note: So many people are looking at this particular post—and I’m flattered. I would invite all of you Afro-Texans and friends to please consider contributing a few dollars here or there through paypal to help keep this labor of love moving forward. Half of Afroculinaria is a record of my journeys and musings, and the other half is an online museum of African/African American and African Diaspora food traditions–not in generalities but in specific painstaking detail. What you’re reading isn’t an assignment, a graduate student paper, or done for academic credit. This is a recognition of my forefathers’ and foremothers’ unique struggle and survival that was rarely, if ever, told. It is a tribute to of the love and devotion I have to all our ancestors–this isn’t “for school,” this is for them. I know times are tough for all of us, but your support pays for pricey copies at the Library of Congress, paves the way for future site visits, and ultimately give new voice to those who toiled in silence and servitude. I thank you in advance for your contributions and support. Have a heart because I do. It is important to acknowledge the African origins of enslaved Texans when documenting their foodways. Of course the foodways of Afro-Texans were determined partly by the agency of white settlers of British, Ulster-Scots and German origns, as well as that of Native American groups. However, it is the African background on to which other traditions were adhered. The larger part of Texas’s African American population was drawn from the Lower South, where enslaved Africans brought from Sierra Leone and Liberia, Kongo-Angola and Senegambia were predominant—and steadily arriving into the early 19th century. Rice growers from the aforementioned nations and Bantu-speakers from Central Africa were dominant in the population of the Carolinas and Central Africans, Senegambians and enslaved peoples from the French Caribbean were important to the population of the Lower Mississippi Valley, with New Orleans as a center of the slave trade to the 1810’s. Texas had its own direct links to Africa and the West Indies up until 1836 through Galveston, as thousands of Africans were brought from Central Africa and the Bight of Benin. West African ethnic groups such as the Yoruba came in significant numbers to Texas, trans-shipped from Cuba. Afro-Texans were a complex mixture of Upper South, Lower South, West African, Central African, and Afro-Caribbean communities blended with the bloodlines and folk traditions of their European and Native American neighbors. Enslaved Texans were at the tail end of a long history and heritage of enslaved people of African descent, but they were the most cosmopolitan of all enslaved communities. Afro-Texans were exposed to one of the largest German speaking communities in the South, they were constantly being influenced by the culture of Mexico and the lingering touch of the Spanish crown and the Creole and Acadian communities coming in from nearby Louisiana. To acknowledge the ethnic origins of the 182,566 enslaved Texans on the eve of the Civil War, is just the first step in peeling back the layers of the origins of their early foodways. Geographic origins and migration patterns also played an important role in what enslaved Texans ate and under what conditions they produced and consumed their food. Of those narratives collected under the auspices of the WPA, an overwhelming majority, 65% point to origins outside of the Lone Star state. 68% percent come from Deep South (a quarter or more coming from Louisiana alone), 29% from the Upper South, and 3% from the West Indies or Africa. Tennessee (the “Grandfather of Texas”), Kentucky, Missouri and Arkansas were the main points of origins for the few slaveholders who came from the Upper South. Many of these families could ultimately trace their origins to the early Chesapeake and the early Appalachian frontier. Northeastern and central Texas Black communities brought with them a shared heritage diet based on corn, pork, and additions such as turnip greens, melons and sweet potatoes. 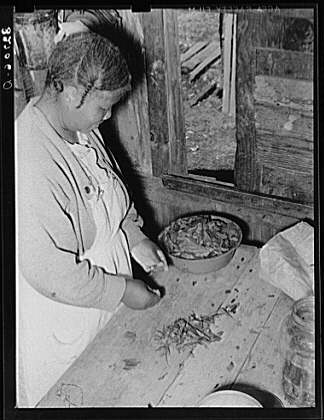 Communities in the southern and eastern Texas, owing their origins to the Deep South, had a mixed reliance on both corn and rice, with molasses, collards, sweet potatoes and field peas at the center of the common man’s diet. The culinary touch of the Five Civilized tribes was carried West on the Trail of Tears and many Afro-Texans brought dishes of Muskogean and Cherokee origin with them to Texas. Enslaved Africans and African Americans brought deep and persistent knowledge systems–how to raise cotton, sugarcane, rice and corn; how to make African style baskets and carve mortars and pestles, drums and furniture of aesthetic excellence. 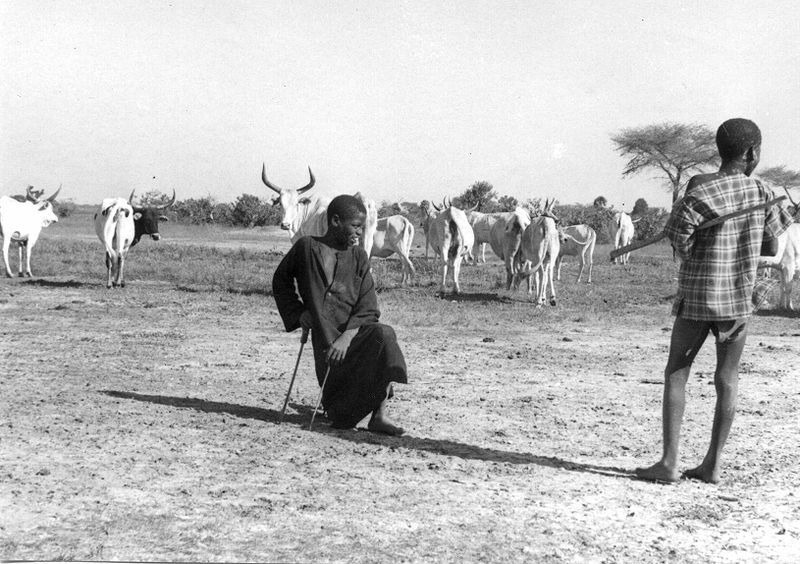 They brought hunting, trapping, fishing, blacksmithing, and elements of cattle raising, penning and African styles of transhumance. African Americans enriched Texas with firsthand knowledge of what weeds and wildflowers were edible and medicinal, how to make small gardens with high productive value. Okra, collard and turnip greens, black eyed peas and other cowpeas, rice, watermelon, spices, a variety of sweet potatoes, and other staples of the Afri-Creole culinary world became key in the vocabulary of Texas “eats.” Beans and rice, rice pudding, okra and tomatoes, gumbo, spicy stews, black eyed pea dishes, greens, fried poke salad, pickled okra and watermelon eating contests are all signs of the Africanizing presence of Blacks in Texas. 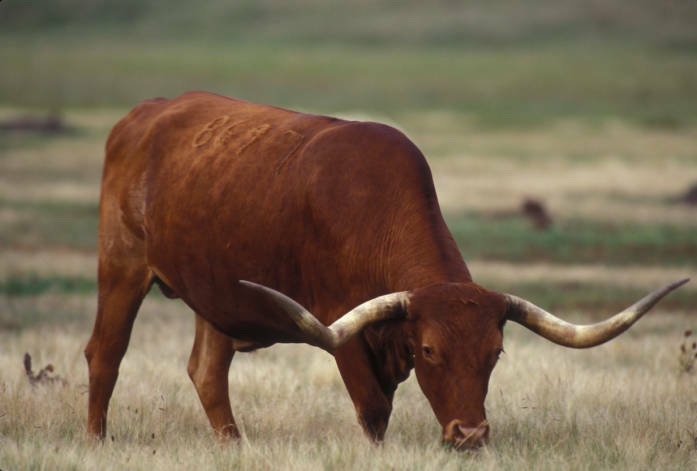 Most of this contemporary presence comes directly from the period of enslavement when enslaved people cooked in the “Big House,” cooked for cattlemen on the range, and helped to establish Galveston as a culinary stronghold. The types of produce used, the preference for one pot stews, the use of meat and fish as a condiment for seasoning, hot spices and liberal use of sweetening, deep frying, grilling and steaming in leaves; the communal preparation and consumption of food, associations of food with certain spiritual principles and forces, and an improvisatory spirit in meeting the demands of the palate were the fingerprints that the first Afro-Texans left on Texas food for generations to come. On the cotton and sugar plantations of East Texas, a refined style of chattel enslavement, with a bent towards control and limited free time ruled the tone of slavery’s touch. Unlike the early coastal South where enslaved people had greater license to grow small provisional gardens, trap, hunt and fish, these were heavily supervised activities in the labor intensive, industrial age world of Texas slavery. Many formerly enslaved Texans reported that they did not have individual gardens, but received their produce from a large kitchen garden maintained by an elderly man or woman. 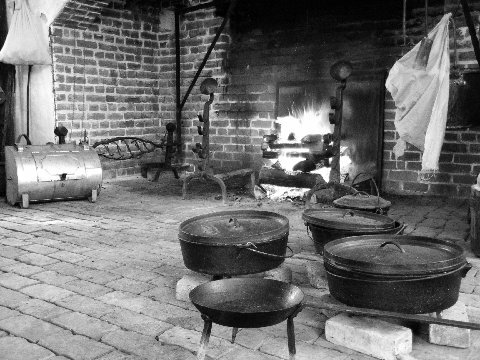 Several reported communal kitchens where lunch and sometimes dinner, were prepared so that as little time as possible would be deducted from the workday for making meals. This does not mean that enslaved Texans didn’t have provisional gardens of their own or that even those that weren’t permitted to keep gardens didn’t maintain them in undesirable parts of the plantation landscape. Nor does this suggest that enslaved Africans didn’t hunt of fish under cover of darkness. 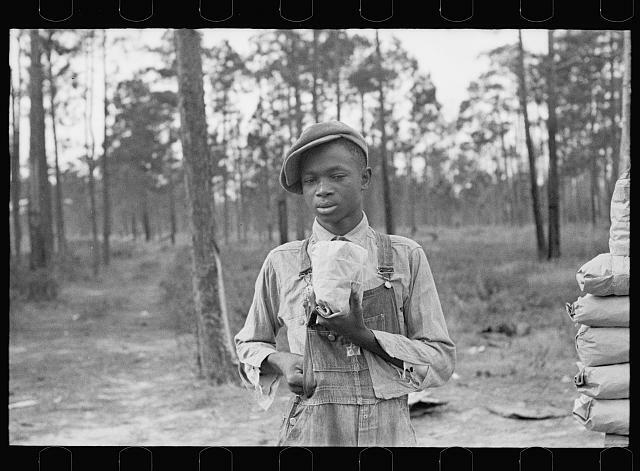 The thousands of narratives left to us by the WPA were mostly from people who were children or teenagers on the eve of the Civil War, and therefore their view of enslavement was limited to the experiences of their age group. In fact, in looking at the foodways of enslaved Texans it is important to remember that more sophisticated dishes, stolen delicacies, and other rich foods would have been denied to the youngest members of the enslaved community. Black children, who were often in close proximity to their white peers, were also not privy to the secret places and sources of food known to their elders. Rations dispensed once a week typically included a gallon of corn, some farm-raised rice, molasses, three pounds of salt pork or beef and occasionally buttermilk and clabber. Common garden crops most mentioned in the WPA narratives and other records include corn, pumpkins, mustard, cabbage, squash, cushaw—often called “potato pumpkin”, snap beans, watermelons, turnips and turnip greens, collard greens, sugarcane, sweet potatoes, peanuts, field peas, Irish potatoes, okra, tomatoes, red peppers, herbs and onions. Plantation orchards like that at Peach Point were rich in produce—apples, peaches, cherries, figs, blue plums, quinces, damsons, and pears. Every place kept a stand of wild pecan, hickory, walnut, and persimmon trees. Watermelon “patches” were kept around the plantation grounds. Wild mayhaws, maypops, dewberries, agaritas (a type of wild currant) and muscadine and mustang grapes grew wild at the edges of the forest and along the prairie, and many of these wild fruits were collected and sold by the enslaved community. Poke salad, wild lettuce, wild mustard, watercress, purslane, dandelion, and lambs quarters, along with other edible weeds would have been collected by women and children as they gathered resources from the wild. To be an Afro-Texan meant taking ownership of new resources-rich spreading live oaks and mesquite trees, extensive groves of sweet tasting pecans, mayhaws, black Texas persimmons, wild berry-like bird chilies spread by wild turkey and mockingbirds; alligators and fleshy, red swamp crawfish in the east, and Texas Diamondback terrapins hunted almost to extinction for soup. Pronghorns and jackrabbits joined the usual game roster—raccoons, opossums, beaver, wild turkeys, bobwhite quail, ducks, geese, pigeons, cottontails, and whitetail deer, made room for these new game as well as armadillo, wild hogs and peccaries, prairie chickens, and bison. Fish species from the Narratives that can be identified include white bass, redear sunfish, flathead catfish, and threadfin shad. From coastal Texas, enslaved fishermen culled oysters, crabs, and numerous saltwater finfish. Cichlids similar to those in West Africa; swam in the waters of the southern Rio Grande, and canebrake rattlesnakes from the Brazos, carefully caught, were relished when stewed in their own gravy. Afro-Texans described in great detail how they prepared their food. 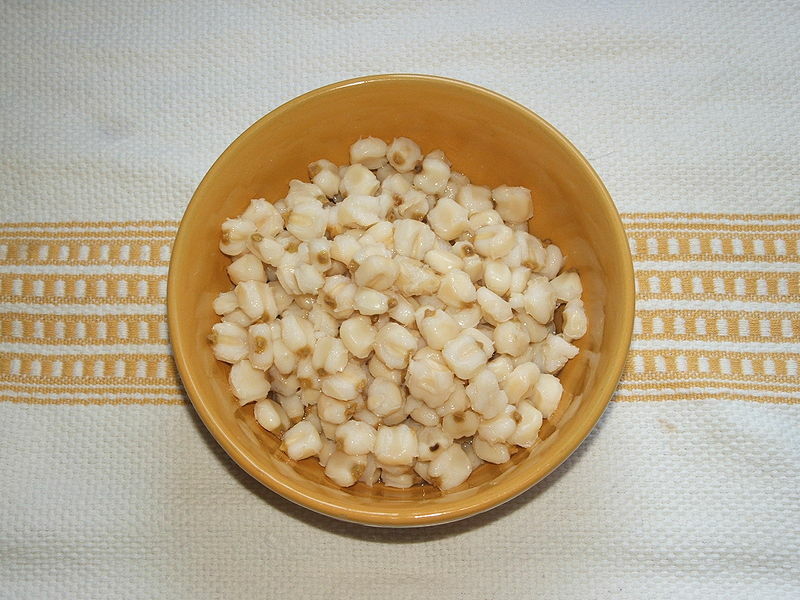 Corn became hominy, corn dodgers (formed into pones by the fingers of the cook), fried corn, roasting ears, hoecakes and ashcakes—corn mush formed into thick patties and wrapped in a collard or corn shuck leaf, corn meal dumplings, hush puppies, crackling bread, and coosh-coosh—a corn mush dish of Senegambian origin eaten with milk or syrup—or kush—a cornbread scramble made with onions, salt, and red peppers. Corn cobs were added to green wood to smoke meat, and parched grains of corn or toasted corn meal were used to make ersatz coffee. Rice could accompany fish dishes, and stews. Wheat, a common plantation crop, rarely found its way into the homes of the enslaved as a staple. Many formerly enslaved Texans reported having a special biscuit a week—strictly on Sundays, and only rarely did they taste waffles (which required a special mold), pancakes, white bread and other delicacies usually reserved for the slave owner’s table. Some of this wheat flour became a special dessert dumpling, boiled in reduced mustang or muscadine grape juice in the manner of the Cherokees, Creeks and Choctaw. Vegetables and fruits had numerous preparations as well. Field peas and beans were cooked with salt pork and bacon grease and eaten for good luck on New Year’s Day. Leafy greens and other vegetables were sometimes cooked in layers in a one pot dish with pieces of smoked jowl. From the German community, enslaved Blacks learned the art of making sauerkraut. Sweet and Irish potatoes were slow roasted in the ashes of the fire place, or turned into sweet “potato puddings.” Greens were typically cooked with salt pork or hog jowl. Fruit was transformed into preserves and peaches were turned into brandy, peach leather or stewed and cooked with molasses. To be sure, the food of the enslaved community was well seasoned. Salt was usually provided at specific interims as part of the ration system. Herbs were collected wild or grown near the home, including basil near the front door for spiritual protection. Red peppers—grown or wild—seasoned much of the dishes, giving a distinctive spiciness and the fruit was used as a tea for colds, or shoved in the mouth of a child who didn’t mind their speech to an elder. Teas made from persimmon leaves, and sassafras leaves were common, along with a fake coffee made from roasted pecan hulls. Sweetening was provided by molasses from sugarcane or black amber sorghum raised on the farm, or from honey kept in bee gums by the enslaved community at the edge of the woods. Honey is frequently mentioned in the narratives of enslaved Texans, and apparently, apiculture was an important part of communal food production. A special drink, known to many as “switchel” was the lemonade of the field worker—cold spring water was mixed with apple vinegar and molasses and enjoyed as the day’s work progressed. Grapes, persimmons, and other fruits were used to brew ciders, wines and beers, and corn whiskey was brewed contraband in the cabins or provided as special rations at harvest and holidays. Meat, game and fish were secondary to dishes based on corn, rice, and garden produce. However many dishes appear in the oral histories of enslaved Texans. Possum roasted with sweet potatoes was a primary fall and winter dish. 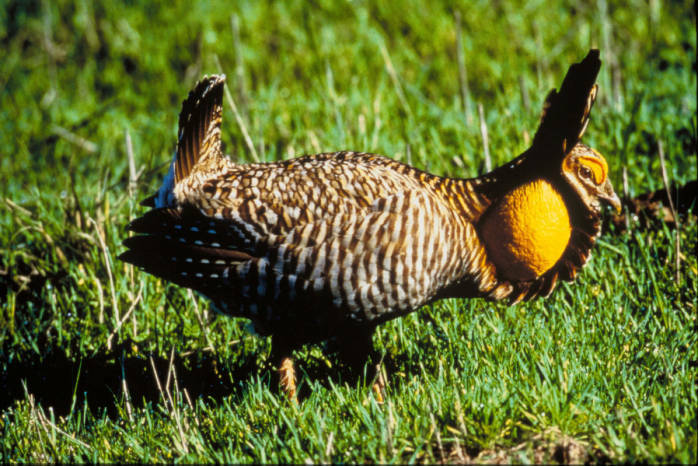 Springtime brought prairie chickens and rabbit, fried or stewed. Summer time rains and floods flushed out turtles and terrapins that were quickly killed and added to the stew pot. 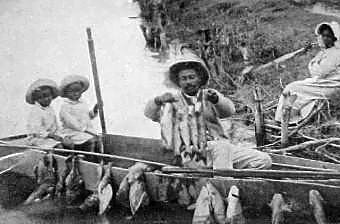 Fish were fried up with cornmeal and lard kept covered in large gourds. Corn shucking, hog killing and Christmas time, “the Big Times,” brought rare dishes that were usually enjoyed in the Big House—plates of hickory, oak and cob smoked ham, roast beef, fried chicken, chicken stew, roast chicken, baked wild turkeys that were caught in brush traps, and an array of deserts—molasses candy, molasses cake (often called syrup cake), gingerbread, pound cake, ice cream; apple, peach, dewberry or wild grape pies, cobblers, and rare beverages—apple toddy, apple cider and eggnog. 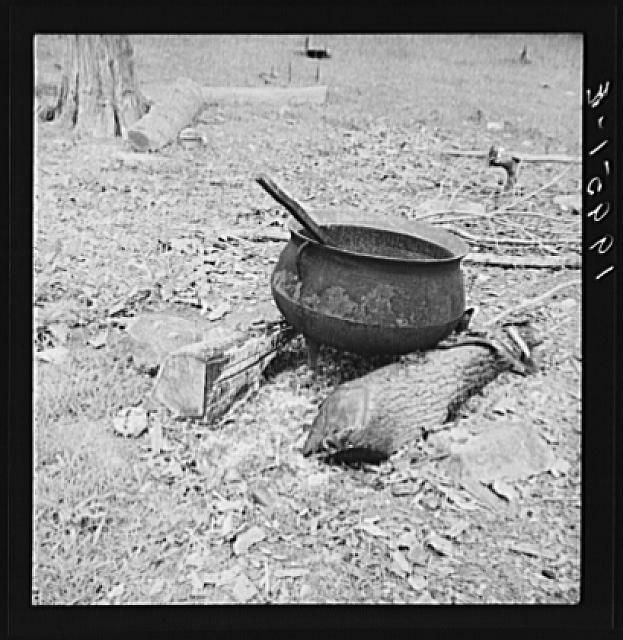 In those times where a pot was kept going over a low, constant fire, okra and tomatoes, rice and peas, or gumbo might slowly cook during the course of a long work day. Off-parts from chicken and hogs were not wasted—jowls, feet, lights, livers, ears, tails, and intestines followed hog killings, and chicken feet were roasted on coals at the fireplace. Hams, shoulder meat, middlings, bacon and sausage were reserved for the Big House table, unless of course, they were stolen or given out as rewards or temporary rations. Several interviewees spoke of barbecue, and the grilling of beeves, lamb, and hogs during the summer and during harvest time. On rare occasions, if Blacks were in the good graces of the slaveholder, and enslaved community might enjoy some of these foods at a “wedding” or funeral, in addition to a day off from work. After slavery enslaved people began to recall and re-construct their experience through the celebration of Juneteenth. The practice of eating red foods—red cake, barbecue, punch and fruit– may owe its existence to the enslaved Yoruba and Kongo brought to Texas in the 19th century. For both of these cultures the color red is the embodiment of spiritual power and transformation. Enslavement narratives from Texas recall an African ancestor being lured using red flannel cloth, and many of the charms and power objects used to manipulate invisible forces required a red handkerchief. It’s clear that even in slavery’s aftermath; Afro-Texans had a rich food culture, created under adversity in communities with rich cultural origins and a diversity of influences, with a strong root in the foodways and cultures of West and Central Africa. BIBLIOGRAPHY: T. Lindsay Baker, “More than Just Possums and Taters: Texas African American Foodways in the WPA Slave Narratives,” in Juneteenth Texas: Essays in African American Folklore. Francis Edward Abernethy, ed. (Denton, Texas: University of North Texas Press, 1996) Abigail Curlee, “The History of a Texas Slave Plantation, 1831-1863,” in Plantation, Town and County: Essys on the Local History of American Slave Society. Michael Gomez, Exchanging Our Country Marks: The transformation of African identities in the colonial and antebellum South (Chapel Hill: University of North Carolina Press, 1998). Gwendolyn Midlo Hall, Slavery and African ethnicities in the Americas : Restoring the links. (Chapel Hill: University of North Carolina Press, 2005) Elinor Miller and Eugene D. Genovese, editors. Urbana: University of Illinois Press, 1974) Daniel Mannix and Malcolm Cowley, Black Cargoes: A History of the Atlantic Slave Trade 1518-1865 (New York: Viking Press, 1965) George P. Rawick, ed. The American Slave: A Composite Autobiography, Series 1, Texas—Volumes 4-5; Supplement, Series 2; Volumes 2-10. (Wesport, Connecticut: Greenwood Press, 1979) Ernestine P. Sewell, Eats: A Folk History of Texas Foods (Fort Worth: Texas Christian University Press, 1989) John Michael Vlach, “Black Craft Traditions in Texas,” in By the Work of Their Hands: Studies in African American Folklife (Charlottesville: University of Virginia Press, 1989) John Michael Vlach, Back of the Big House: The Architecture of Plantation Slavery (Chapel Hill: University of North Carolina Press, 1993). Your article touched me. I am doing a non- profit Black History program and would like to use part or all of your work. Rest assure you will be given full recognition. My email is akickingk@aol.com please let me know if is ok to do so. As I was searching for images of African American and slave contributions to American cuisine to have printed large scale to hang in my restaurant I came across your article. I am amazed! Your words put into print the sentiment I feel and homage I plan to pay to all our fore-parents. Keep up the amazing work. I would like your permission to print in large scale your historical photographs to hang in my restaurant.